Along with Windows 10 Insiders Preview Build: 17063, Microsoft added support to see the permissions an application has requested. You will have total control over it to allow or disallow a specific permission for that application. In this quick post, we are going to discuss about this feature, which has been newly introduced with Windows 10 build 17063. 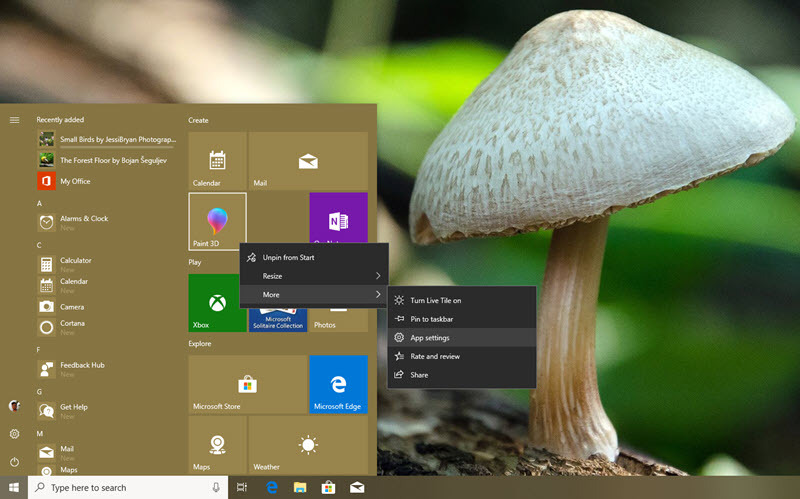 Build 17063 has many new features and enhancements, that includes the most awaited Windows Timeline feature, the Activity History settings, Cortana Enhancements, Microsoft Edge improvements, Windows Shell improvements and many more. If you didn't yet check what has been newly introduced and what has been fixed, checkout the post: "Windows 10 Insider Preview Build 17063 is now available with bunch of new changes and fixes". The respective App Settings page will open, as below, where you can check the permissions that the said app has requested. 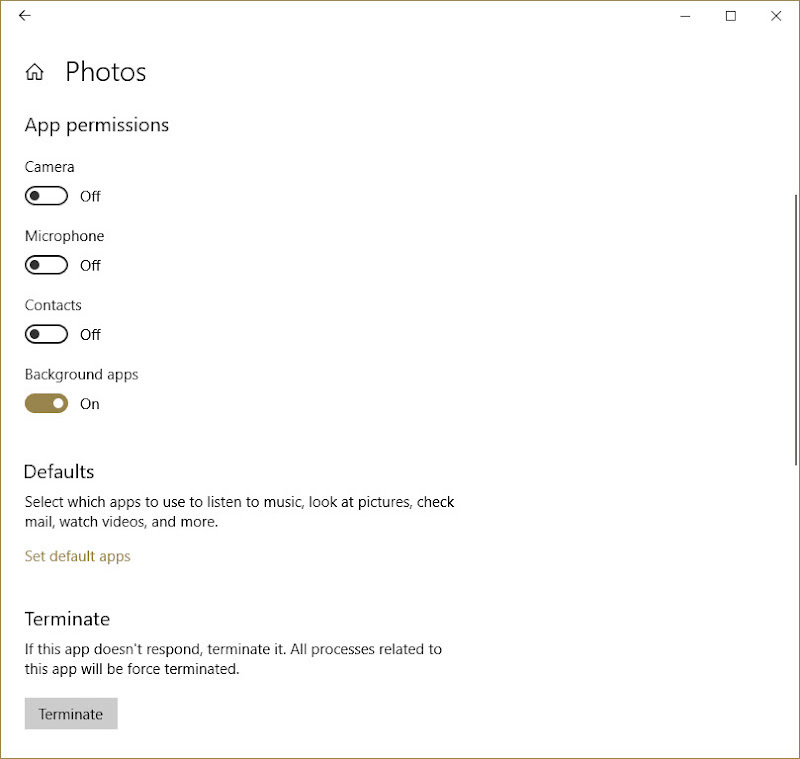 You will have total control here to decide which permissions you would like to allow for that application. If the app doesn't respond, you can also terminate the said app from that page. All processes related to that app will be forcefully terminated. Was the post helpful? Do share your views in the comment section of this post. Don't forget to checkout the other posts: Microsoft started warning Insiders that MS Paint will soon be replaced by the Paint 3D app. 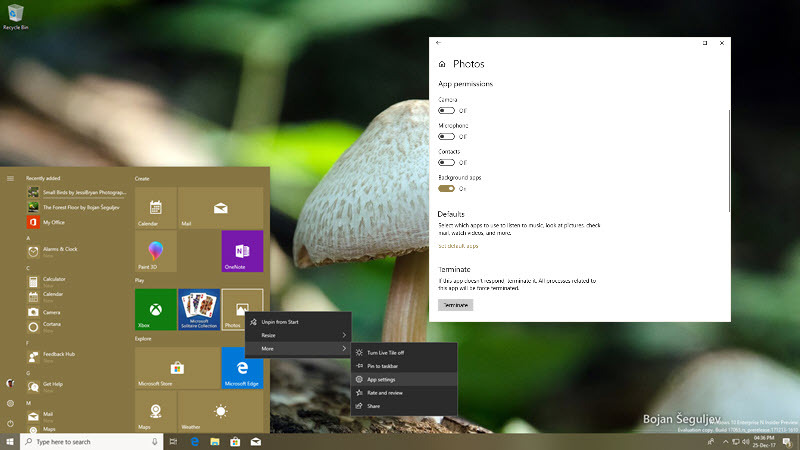 If you have come this far, it means that you liked what you are reading (Windows 10 will allow you to control the permissions an app has requested).